Demonstrate your leadership in green building by partnering with these communities. 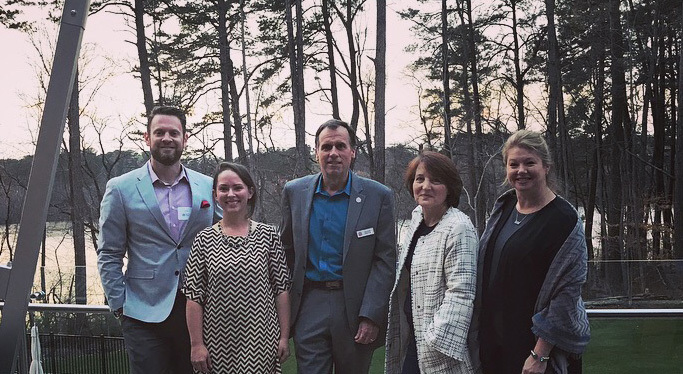 Your support of the USGBC North Carolina and USGBC South Carolina communities demonstrates your leadership in transforming the built environment. When your organization is active with these communities, you support education and advocacy to regenerate and sustain healthy, prosperous communities throughout the Carolinas region. Partners support activities that promote social equity, industry innovation and the growth of a strong, diverse green building community. In 2018 alone, the USGBC communities in the Carolinas region hosted over 50 events, engaging over 2,000 attendees across two states. Beyond this, your organization gains expanded networking opportunities and the chance to showcase your leadership, with over 50,000 social media contacts, 400 members and 75 annual partners. Reach out to your community leaders, Jessica Wilson and Ryan Snow, on how to get involved, or learn more by viewing the partnership package.